Danielle Hurd-Wilson is a southern queer womanist, an RJ organizer and a two time graduate from the University of Alabama’s Gender and Race Studies Department. 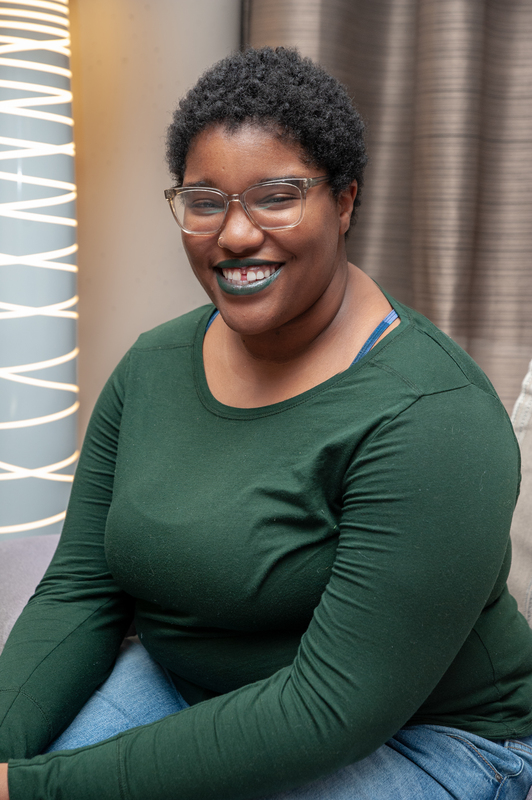 As a young organizer, Danielle lead and participated in number of progressive groups, concerned with issues of racial justice, reproductive and gender equity and LGBTQ+ liberation. Danielle has a long relationship with URGE, having begun as a State Organizer and currently serving as one of the directors of URGE’s Field program. They were born and raised in Birmingham, Alabama and believe that y’all is the best word in the English language. Danielle uses they/them and she/her pronouns and currently lives in Washington, DC with their spouse, Gaby and their dog, Jalapeño Gregg.